Prominent & Leading Manufacturer from Mumbai, we offer alloy steel plate for gas industry. Being devoted towards fulfilling our clients totally, we are exhibiting them a quality sanction exhibit of Alloy Steel Plate for Gas Industry. These Steel Plates are exceedingly recognized by the customers for its long administration life. Then again, we offer it to the supporters' at most doable costs. 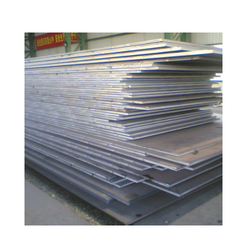 Looking for Alloy Steel Plate for Gas Industry ?